In Windows 10 operating system has some errors while opening the system. Sometimes will shutdown system automatically or our computer did not start correctly so at the time opening our operating system will showing below like this. Press “Restart” to restart your Pc which can sometimes fix the problem. You can also press “Advanced options” to try other options to repair your PC. 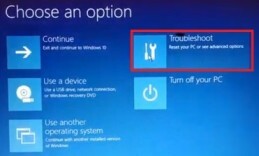 After rising this issue in windows then how to solve and how to open windows machine simply. Step 2: After clicking on Advanced options then will go with “Troubleshoot” option then will showing more options for the next step. Step 4: After clicking on “Advanced options” then click on “Startup Settings”. For booting process to open windows machine. 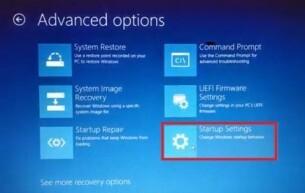 Step 5: Following startup settings then simply “Restart” the windows operating system. Step 6: After booting your Windows 10 operating system. The screen will be showing some options then press a number to choose from the options below. 9)Disable automatic restart after a failure. Step 7: Press on F4 then open enable safe mode for the open windows machine. It is called a safe mode then open your desktop and use it simply. Step 8: Press on F6 then open enable safe mode with the command prompt for using some commands to troubleshoot the machine then open desktop. Summary: Automatic Repair is abandoned by the Windows system shutdown at the time of updating or malware situation or installation of software it may have happened. Above steps simply solve the automatic repair in Windows operating system.